This page is only for compliments and complaints pertaining to members of the MARTA Police Department. Non-police related inquiries will not be answered on this portion of the MARTA website. 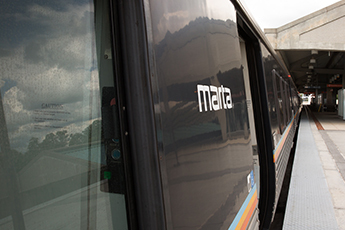 If you have a compliment or complaint for any other MARTA staff member, including Bus & Rail, please contact MARTA Customer Service at 404-848-5000. There are times when certain members of the MARTA Police Department will stand out from the rest. Whether it's for going above and beyond in serving the community or for providing outstanding customer service, we want to hear about it. If it's something positive, let us know! We’ll pass the message along to the right people. We also understand there may be times when our department members do not meet standards. If you would like to file a complaint, fill out the form below and let our department know. Our Internal Affairs Unit records all submissions and will investigate any allegations of police misconduct. Contact the Office of Professional Standards directly if you have any questions. Weekdays from 8:00 a.m. till 4:00 p.m.